IKEA PORTUGAL TRIP TO CHINA Written by Patricia Dias. Child-Friendly Space at Liutai village, Zhongli township. Photo by José Casimiro. It’s funny…we got together lots of times to prepare for the trip, sometimes face-to-face, other times via Skype. We shared our expectations, we outlined strategies and we composed presentations. Basically, we helped each other through times of uncertainty. And on the day our journey began, although we’d joined up in the check-in queue, never to be separated again (the group stuck together at check-in, at breakfast and for last-minute shopping before boarding), I was surprised by Zé’s relief when we got on the plane. The calm but very creative Zé, almost 40, well-travelled and worldly wise, turned to me and said, from the bottom of his heart: “It’s really happening!” It’s true. This is the kind of experience you only believe in once it’s actually started. Child-Friendly Space at Letang village, Daxu township. Photo by José Casimiro. It’s a fact. IKEA co-workers, especially those working in the stores, are people of action. 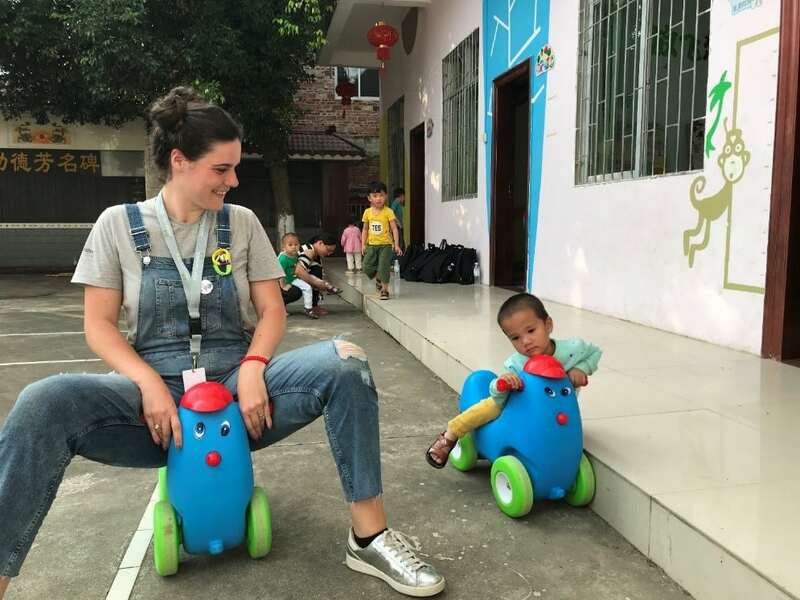 When we discussed the IWitness trip before leaving, we dreamt about how we’d interact with the children in the “Spaces for Kids to be Kids” project in parts of rural China. What games would they know? How would they play? How would they communicate with us? We wanted to introduce them to something of our own. In our bags we had packed traditional games, like elastic jumping, and more modern games involving mimicry. And we had learnt some basic words: hello and thank you. 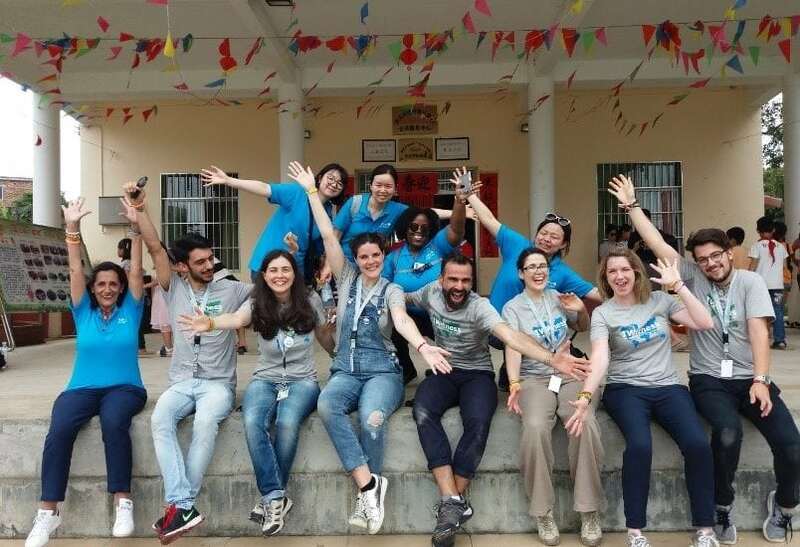 But in Guigang, in the Guangxi Zhuang Autonomous Region, our destination, we had to wait some time before meeting the children, as this was preceded by an introduction to the programme. 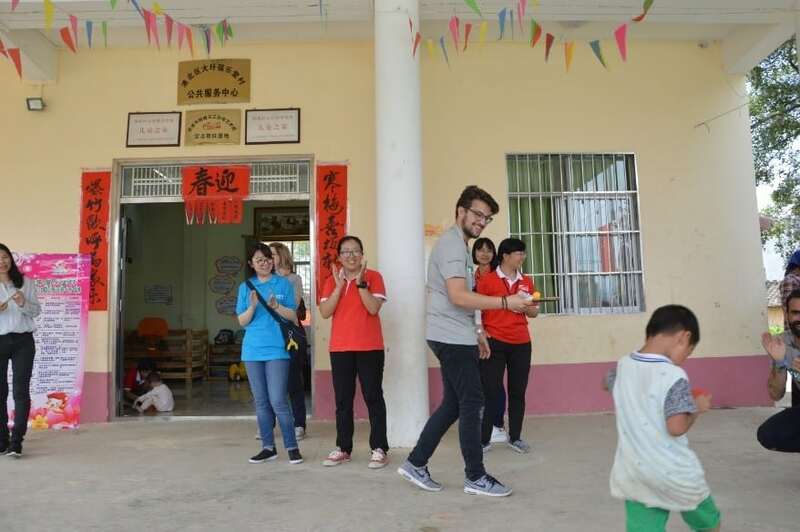 UNICEF China and the National Working Committee on Children and Women (NWCCW), wanted to fill us in on the support bases known as “Child-Friendly Spaces” (CFS). And so, as time passed, excitement turned into anxiety and anxiety turned into feeling our hearts in our mouths. I was moved when Sabrina shared these feelings with me before seeing a CFS first hand. “Remember why we’re here. For the children,” I told the group. And when we got off the bus in Letang, we saw some small faces, very curious about our arrival. Child-Friendly Space at Letang village, Daxu township. Photo by Tiago Martins. It took a bit longer before we could interact with the little guys. At the Letang CFS, they first showed us the facilities, shared figures and examples of daily operation of the CFS, and then our questions came. We wanted to understand a bit more about the concept of “children left behind”. We had been told that in 2015, 41 million children had been left behind by their parents in rural areas, like the region we found ourselves in. How can a father or a mother migrate and leave their children in the care of others? They do it for love, we later found out. The parents leave in search of new opportunities and some extra money that will let them ensure the survival of their loved ones. But the children have to stay where they are so they will have access to basic public services. That’s how the CFS came into being. Spaces that identify, support, protect and aid the development of these vulnerable children. And before we knew it, our chance to be with them had arrived. For a few hours we were children, too. 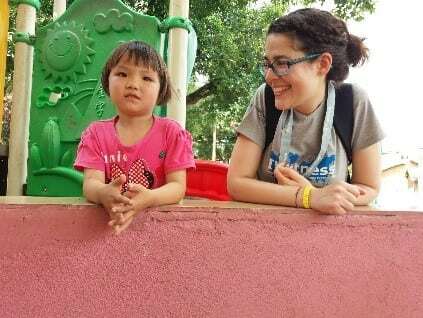 Afterwards, with no prompting, the children presented us with bracelets they themselves had made. It was extraordinary. As Tiago put it: “they give what little they have,” with a smile on their faces and arms wide open. Child-Friendly Space at Letang village, Daxu township. Photo by Patrícia Dias. We weren’t, and could never have been, indifferent. 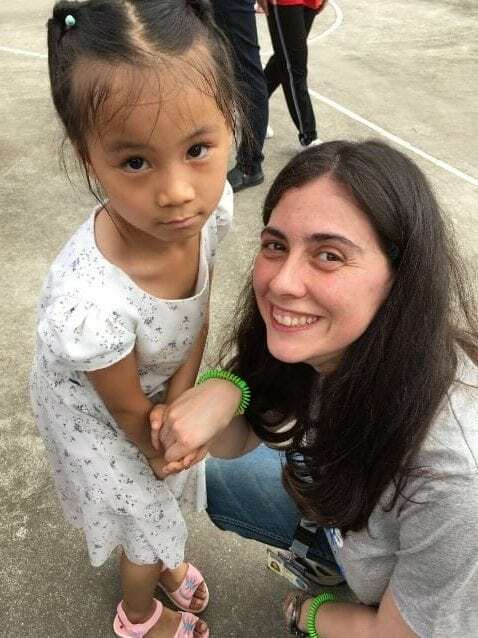 Sweaty, dazed and confused, our emotional release came on the bus back to Guigang, before our visit to the Liutai CFS. Through the tears, discreet and otherwise, our catharsis came. We were happy to know that the children we’d met have better lives because of centres like the CFS. As for us, we grew. Child-Friendly Space at Liutai village, Zhongli township. Photo by Sabrina Ponte. With batteries more or less recharged, we arrived at our second destination, the Liutai CFS. Here, too, there was a short introduction of the place and the activities the children enjoyed most. This served to pass the time, as many of the children in this CFS were still at school. 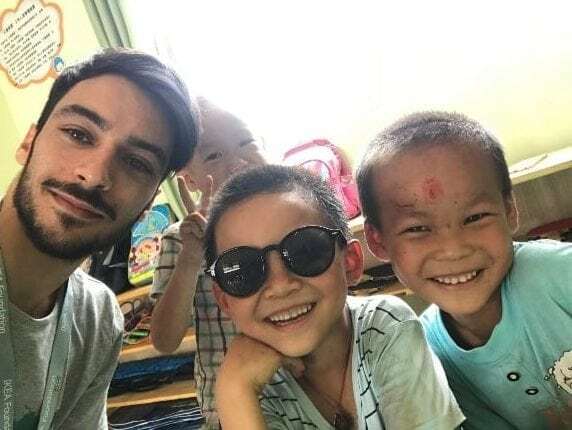 But when they arrived, we were able to play with them, both boys and girls! We coloured, we jumped about awkwardly doing the Bamboo Dance, we ran, we tried out all the games they’d prepared for us. What we really wanted to do was to provide happy memories and a different day in the lives of these children. As for us, our hearts were indelibly marked by all the genuine smiles and looks of curiosity we were met with. Child-Friendly Space at Liutai village, Zhongli township. Photo by Catarina de Almeida. As for me… the sweet gaze of one child in particular is close to my heart. I think she took to me. I must have conveyed trustworthiness to her, perhaps. Shut up in her own small world, she didn’t play much with the others. All she wanted was some comfort, a safe haven. But this child is a reflection of many who are helped by the IKEA Foundation, UNICEF and the NWCCW through the Spaces for Kids to be Kids project. 120 Child-Friendly Spaces in four regions helped 36,365 children and 33,984 carers up to the end of 2017. Helping them are enthusiastic frontline CFS staff and volunteers supported by 169 provincial multi-disiciplinary experts with different qualifications, from education to child health and psychology. I hope, with all my heart, that this little girl, whose name I don’t know, will have a life filled with joy and success. And who knows, maybe our paths will cross again. Child-Friendly Space at Letang village, Daxu township. These were extraordinary days in the company of exceptional people! I’d like to say thank you to Victoria Bowden (IKEA Foundation) for having given us the privilege of having this experience with her, explaining the project to us in detail. 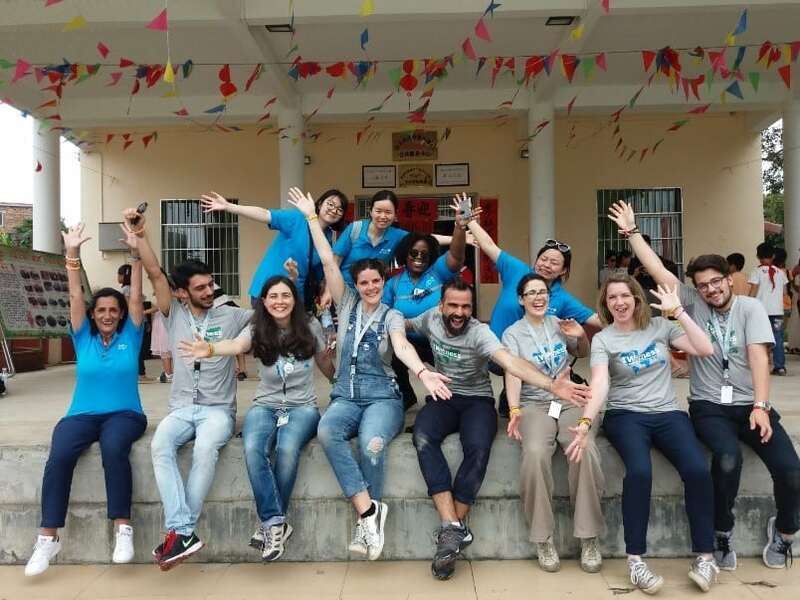 And a very special word for Margarida Cordeiro (UNICEF Portugal), an inseparable partner, who carefully told us about the history and remarkable legacy of UNICEF worldwide. I'm a proudly Portuguese woman of 39 years old, eleven of which I’ve been working with this amazing company that is IKEA. All the time dedicated to people. From Local Marketing to Customer Relations Manager, I'm currently developing the competence of Customer Experience teams at SO Portugal. 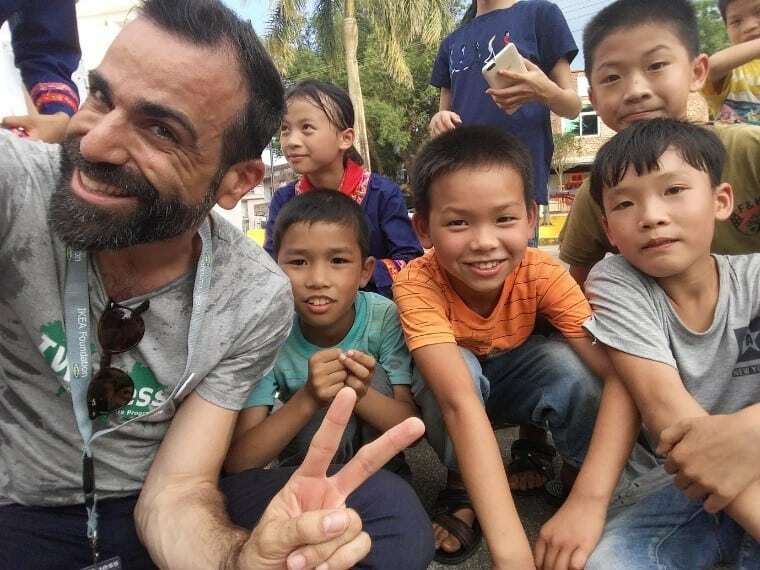 Completely in love with different cultures, I see the IWitness trip as the once-in-a-lifetime opportunity to take part in projects that really make the difference in people’s lives and their communities.